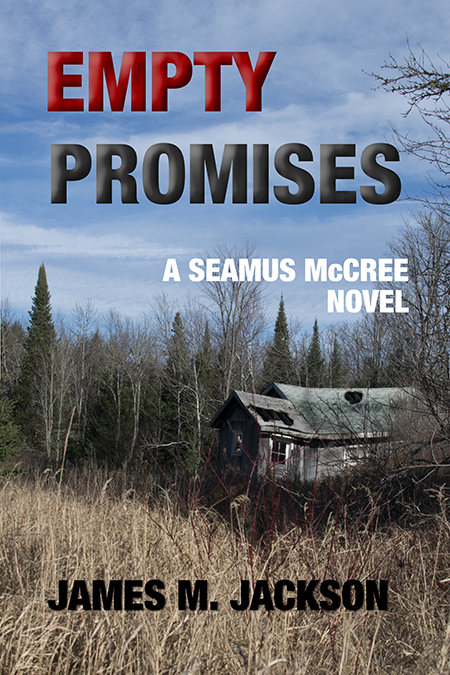 It’s been nearly six years since the release of my first book in the Seamus McCree series, and even before that day, I struggled with the best way to introduce people to the series. Barking Rain Press, a small publisher in Vancouver, Washington, published the first book. It received good reviews (4.3 on Goodreads), but sales were meh. When the second book came out a year later—also published by Barking Rain—I hired someone to promote the book. That wasn’t the mistake; the error was what I had her focus on. She spent considerable time (and therefore money) building my Twitter following and setting up a bookstore tour. Problem was, she liked Twitter a lot, but I am not a 140-character guy. I enjoy more nuanced “conversations” and am much more comfortable with Facebook. That waste of time and money is minor compared to the bookstore tour fiasco. Perhaps this is the right time to mention that although I am a social liberal, I’m a numbers guy and a fiscal conservative. Well, usually, I’m a numbers guy. This time I let my ego get in the way—and that was a huge problem. Michael Connelly or Janet Evanovich can generate lines stretching down the block for a book signing. As a mechanism to introduce lots of new people to an author, it is a colossal waste of time and money. First, there is the time and effort to set up the tour, which my hired publicist did. Second, driving to independent bookstores takes time that could have been more productively spent. Third, meals out and motels are expensive. The economics are terrible. Let’s say I had a terrific event (for an unknown) and sold a dozen books. Net royalty to me is about $24. But, whenever bookstores order too many books, the costs of returns to Ingram are ultimately charged back to the author. My net might even be negative! I enjoyed those events, and if I do say so myself, I’m good at them. I’ve learned to only do local events with a natural draw. The net result on book two, you ask? A 4.3 Goodreads rating, a few more books sold, a lot of money lost. My third published book won a Kindle Scout competition, which meant a bigger advance and an Amazon imprint would publish the Kindle version of the book. The Kindle Scout model is to give away copies of the title to those who voted for your book during a 30-day competition. Of course, I worked hard to get everyone I knew to vote for my book—which meant that since my fans already received the book for free, sales would have to come from people who didn’t know the Seamus McCree series. Exactly what I needed, and I’d have Amazon’s marketing efforts behind my book! And therein lies my second huge promotional mistake. A math guy like me should have realized that Amazon is driven by algorithms with very little human intervention. Books that do well get major support to drive them to do even better. Books that languish are left to wither. The positive of all the Kindle copies they gave away was that I received more reviews for that book than for any of the others. The reviews for the book were excellent (average 4.4 on Goodreads), and sales of the other novels in the series also increased. And then the whole engine died. I thought Amazon would drive sales with “If you liked this, you’d like . . . “ mine. Not so much. As with any publisher, Amazon controlled the pricing, and I couldn’t run price-promotions. I expected them to and then to advertise them. It didn’t happen. What I needed to do was invest in advertising right at the beginning to encourage more people to read that book. Without positive statistics, Amazon’s algorithms don’t kick in to help. It was a grand opportunity that I wasted. Over time I regained rights to my books and introduced advertising and periodic price promotions. I increased my newsletter followers and reader by reader continued to add fans. I was confident (and I still am) that since readers rated the series well (4.38 on Goodreads over the entire series), I just needed to develop a wider marketing tool. If I could reach readers who like to read the kind of books I like to write, they’ll try my books and enjoy them. Over the years, I have received some good newspaper reviews, and I thought one way I might reach new readers was through a national review. I have my own nano-press now and used my publishing arm to purchase a Kirkus review. It cost $425, which I figured would be money well spent if my book earned one of their coveted starred ratings. It did not receive a starred review (sigh), but every reviewer has his or her own perspectives, and what was promised was a fair review, not a great review. Okay, gamble lost. What was disappointing was the review contained two egregious factual errors and consisted mostly of a plot summary containing spoilers. Unusable, and one more lesson learned: despite the so-called level playing field of fair reviews, it’s still tilted against independent authors. So, this time with a new book out, I’m reaching out to the blogging community, hoping my posts will encourage readers who like character-driven suspense novels to take a chance on a new author. I’d be interested to learn how y’all decide which new authors to try. Let me know in the comments. James M. Jackson authors the Seamus McCree series consisting of five novels and one novella. Jim splits his time between the deep woods of Michigan’s Upper Peninsula and Georgia’s Lowcountry. He claims the moves between locations are weather-related, but others suggest they may have more to do with not overstaying his welcome. He is the past president of the 700+ member Guppy Chapter of Sisters in Crime. 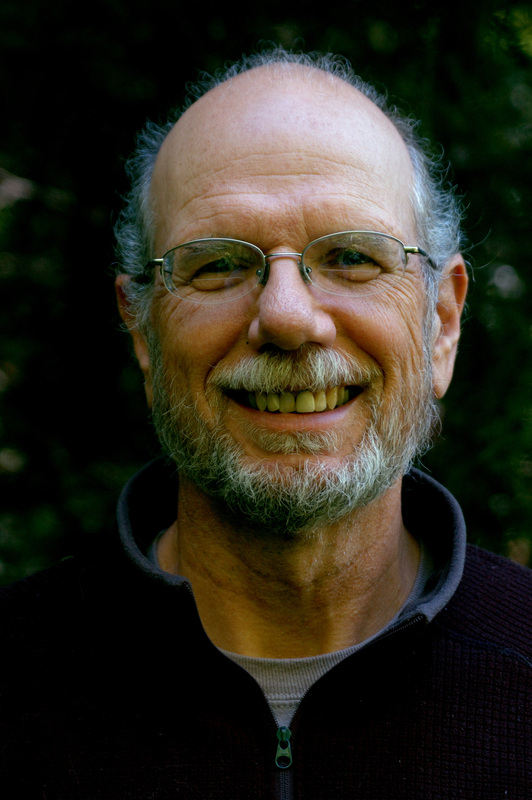 You can find information about Jim and his books at https://jamesmjackson.com. You can follow him on Facebook, Twitter, Goodreads and/or Amazon. You can order paperback versions of his books from your favorite physical or online bookstore (or from his website if you’d like them autographed). You can find his Kindle books here. Thanks for having me today. I’ll stop back in throughout the day to respond to any comments or answer any questions. I loved EMPTY PROMISES, Jim! And I hope your efforts with it pay off — do you have any gut reactions at this point in the blog touring as to how it’s going? Thanks, Jim, for sharing your experiences. It’s helpful to know what works and what doesn’t. Tina — Since all of the blogs are in place and there was nothing I could change, I wasn’t going to drive myself crazy looking at sales one or more times a day. Once the tour is over, I’ll analyze the sales and see what I can learn. Thanks Grace — It’s easy to share your successes, but often more valuable to share your mistakes. Thank you for sharing? What type of advertising did you do? Facebook? Why not do a blog tour? Have you tried hiring an SEO expert to drive people to your blog/website? Being math geeky, I code my website and read a number of articles on SEO optimization. I monitor my website analytics so I can see where my website traffic is coming from. My major advertising has been around periodic promotions of ebooks, but this year I plan to expand those options. We’ll see how it works. Your post will be helpful to all authors, if only sympathetically. I’ll add my own experience which, in general is similar to yours. My first publisher (in New York) had a publicist for promoting my book, and the publisher also did tons of promo, nation-wide, This non-fiction book was popular locally, but sales still blah. Interestingly, the book (“Dear Earth,” environmental theme) still sells occasionally and I get over-the-top emails praising it from readers. But–how to get folks to try it out? Goodreads does contain praise, but still . . . results are blah. The first five books in my “To Die For” mystery series received good promo help from my then publisher. Excellent reviews in major places were solicited and received. Sales good, but not excellent. Future publishers also did some promo but, since I value and have been with small presses, help was limited. I also did what I could. Though I have never done a full book tour, Individual visits to bookstores in reasonable distances from home proved exactly what you say. Lots of fun but middling sales. I did hire a publicist, PJ Nunn, for the two most recent books in my series. Something I loved (and there were many to like ) about her help were the radio talk-show appearances she scheduled. As a former radio news reporter with my own show, I was comfortable with radio and loved these interviews, which normally went way over the original time scheduled, due to the wishes of the host. But, oooops. The main person at my then publishing company had a stroke, other valuable support staff quit. I have never been able to get any recent record of sales, and no royalty report for several years. So I have no record of results from the work of my publicist for these two novels, whether ebooks or print. Conclusion: Most often, one has to love being a writer who does not need to put income first to consider this career successful! Thanks for sharing your experiences Radine. One thing that is important to keep in mind is that one size does not fit all. What you or I might feel comfortable doing, others may not — but they might excel at something that does not ring our chimes. Hi, Jim! and thanks for sharing your stories. I did use two different book tour companies and reached a great deal. I’ve purchased ads and did very well for an anthology. I’m considering library festivals even though they might cost some money. Way back when Amazon shared several of my short stories, but nothing lately. It’s a very tough nut. Hey Vicki — I have my fingers crossed on my current virtual book tour, but as I mentioned above, I’m waiting until it’s over before accessing its effectiveness. Marketing experts say you need to cross a buyer’s radar seven times (I’ve seen the number five as well) before they really become aware of your product. That takes time and effort. I’ve noticed a lot of readers remember Seamus McCree’s name more than they remember mine. I guess that’s a good reason to have a memorable and uncommon series character name! Thank you very much, Jim, for sharing what works and what doesn’t. As a fairly new author, I’m trying to figure things out and have considered hiring a publicist. I wish you great success on your blog tour! Perhaps another post on how that worked for you? Hey Lida. Hiring a publicist can work with the right focus. My problem was bad targeting of money and time. Jim, this was so interesting. Thanks for sharing. I’ve been floundering around for several years now, and the only thing that really bumped sales for me was getting BookBub to list one book for their email blasts. They haven’t taken the other two books in that series, but I did see a good uptick in sales for those, also. Now I’m about ready to try a sale again in the first in another series. I can only hope to do as well, or better, with or without BookBub. Of course, I use several of the other outlets that do the same thing, but I know they rarely, if ever, get the same response as BookBub. Good luck with your virtual tour. Jan, I tried leaving one reply and it didn’t seem to work — but if it’s just a time-delay thing, two might show up. BookBub is the big Kahuna and has turned me down several times. I have had some success by using multiple venues during a week so they build on each other — the cumulative cost was less that BookBub — and the results were also less than folks get with BookBub. Good luck with your next promotion. Sadly, the paid side of Kirkus Reviews is notorious for giving away too much and factual editors. Since the reviewer only gets about 50 bucks of the total price, some of them are far more concerned about churning out quantity than quality. I have heard that same issue with the Kindle Scout deal from other folks. Whether that is part of the reason the Scout program is shutting down, I do not know. One of the things I have noticed at Bookbub, beyond the fact there are so many serial killer books, is the fact that the same books come up over and over again. Every few weeks the same book will float through their system. Variety is not their thing. Hey Kevin, thanks for your comments. I’m not sure the reasons for the Kindle Scout program shutting down. The economic proposition Amazon used was a bit weird when applied to previously published authors. Because their fans could get the novel for free, it meant they had to attract new readers to make money. Kindle Press had some big winners, but a lot more were marginal profit makers or losers for them. At one point I thought maybe they were using Kindle Scout as a farm team for their other imprints, but that didn’t seem to be the case either. Since I don’t actually look at BookBub promotions, I hadn’t noticed either their fascination with serial killers or repeating the same book. I have heard from others that most of their slots are now going to the big NY publishing houses, which makes sense from their business perspective, but is hard on the smaller and indy presses. See you around the SMFS, Kevin. Great article, Jim. You are always so gracious about sharing your journey. I had a feeling those PR planned book tours might not reap the anticipated rewards. I also enjoy speaking with people so I try to set up as many local events as I can, particularly luncheon presentations. Service organizations like Rotary, Soroptimist, Kiwanis are desperate for speakers. The fee is minimal – free to $100 but they buy a lot of books! And you get lunch. The word of mouth referrals are fantastic. Just something to contemplate. Having been originally published with a small traditional publisher, I love the freedom to do a price promotion on a whim. Check out some of the other newsletters besides BB. I always get my money back and then some, plus reach new readers. Hi Cindy — One of the things I have pushed to a back burner, but am bringing forward is to develop presentations related to financial crime, which I think might be interesting to the kinds of organizations you are referring to. We’ll see if this year I actually pull it off. I have done, and expect to do more, promotions that include paid inclusions in newsletters other than BB. Some have been more effective for me than others, but over the long run, I, too, have also come out ahead. Thanks, Jim…very interesting! Lots to learn…glad I found your books by knowing you! I might not have had the opportunity to otherwise read them!! Pam – and what all authors know is that word of mouth is the most powerful sales tool. Fans who tell others about a new author (or one with — say– 5 books!) they have found is really helpful for the authors. I’m currently running a 40-stop, 20 day, blog tour through Goddess Fish Promotions. I’ve found them/it good in the past, but I have one day to go and sales have not budged (at least on Amazon, which as a traditionally published author is all I can check). I think blog tours may have run their course, and I know enough authors now that with some effort I can arrange my own “tour” free, which is what I’m going to do with my next book. A lot of the stops on this tour were not geared to mystery writers. However, I have a Dollycas tour starting next week, for 14 days, so we’ll see how that one goes. As for book tours — never done one, but have done some bookstores, and it can be a lonely experience. My best results have come from multi-author events. Judy — sorry to hear your Goddess Fish Promotions. Based in part on your recommendation I am in the midst of a 15-day tour with them. I’ll evaluate results after it’s concluded. Thanks for your article, which I found helpful. I also enjoyed the many comments, which told me that other authors find this topic engrossing. You’re welcome, Margaret. Sharing information can help us all out.